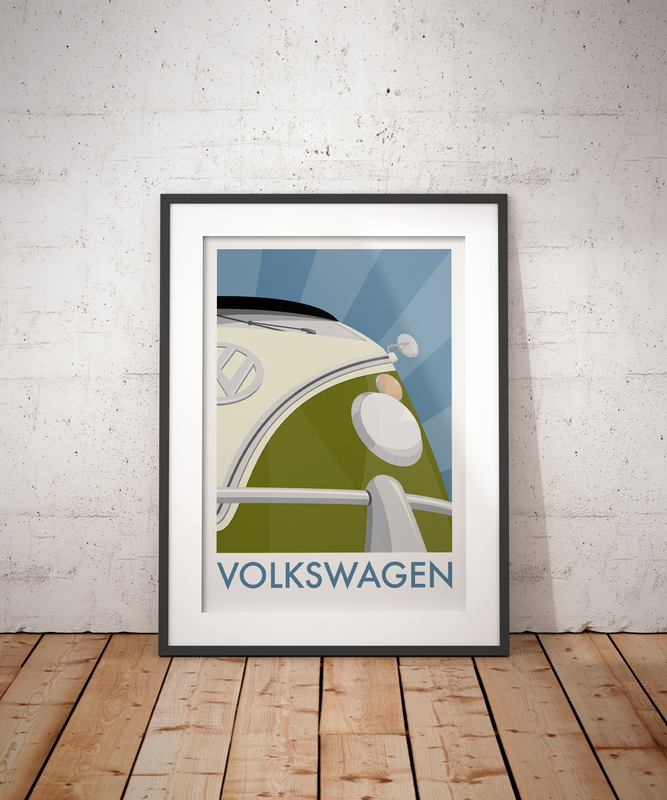 My illustrated poster features the iconic Volkswagen split-screen campervan. The iconic split screen VW campervan. A universal symbol of the free spirit, of bacon butties, campfires, and sunsets. And rain. What more is there to say. 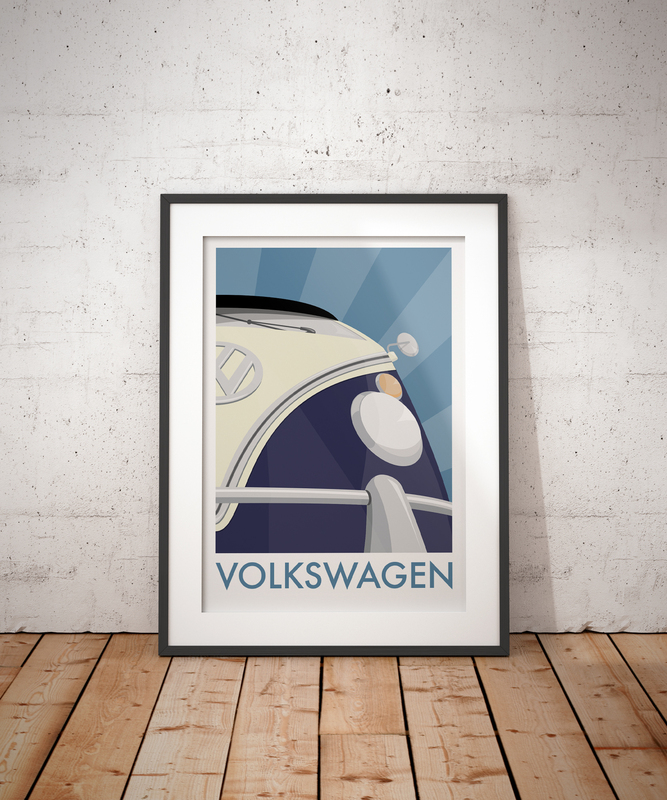 I simply love them, in fact I used to own one (a T25 called Boris). I’m now saving up for a more reliable camper. This was quite a tricky one for me to get right due to the extremely low angle I took. I had a very clear idea in my head but I just couldn’t get it out on paper. In fact I had to shelve it for a few months and focus on other work as I struggled so much. My perseverance paid off in the end though and I’m super pleased with it. I plan to do the T2, T25, T4 and T5 at some point too. 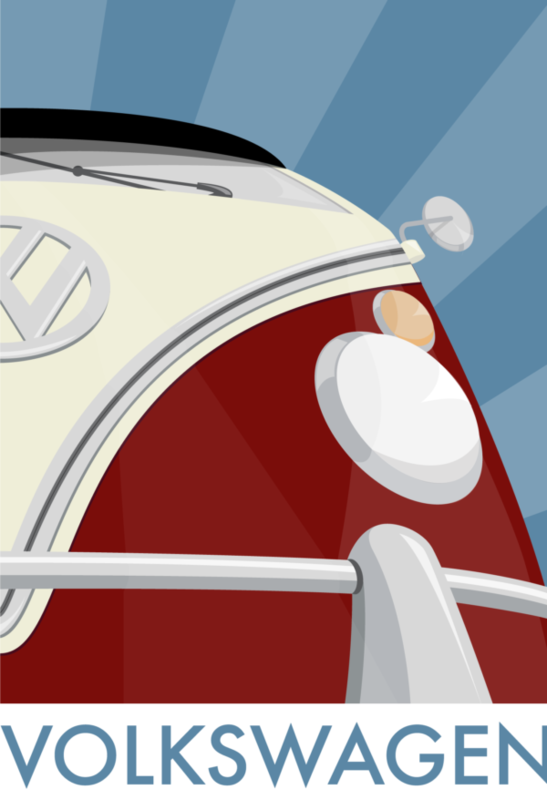 And the beetle, I can’t forget the beetle.